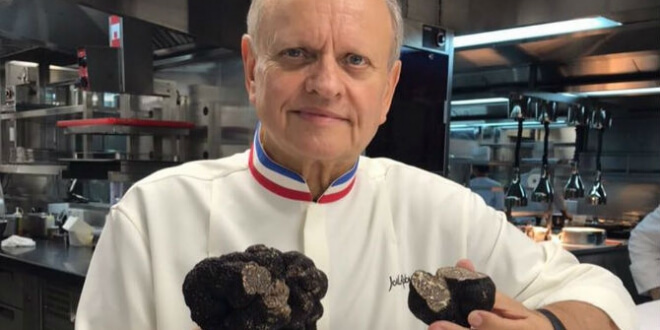 Never more at home than in Monaco, Joel Robuchon who has been spirited away at 73 years «young» had the spirit of a Monegasque within him. The Boustany family, of Metropole Hotel fame, made an inspired choice in 2003 when they lured this genius chef into their nest. 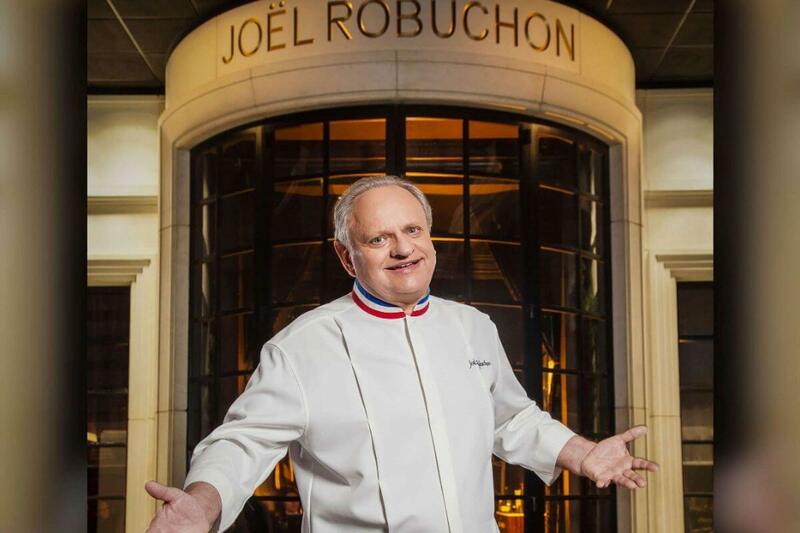 With Michelin stars raining down upon him as if Cupid were shooting them from his bow, Joel Robuchon became and remained the most decorated Master Chef on the planet. And the Metropole was at the centre of the love and joy that Joel Robuchon brought to his art. And no sooner had the first two-year honeymoon at the Metropole racked up two Michelin stars, than Joel’s twin passion for Japanese gastronomy and all things Monegasque led to the birth of Yoshi in 2007. And the Michelin stars for Joel and Monaco kept flowing with Yoshi at the Metropole chalking up a star within only a year. All good things come in threes, and there followed the Odyssey in 2013, a sort of gastronomic conspiracy conceived by Joel and Karl Lagerfeld. And it was the reputation of Joel Robuchon that was a magnet for the most starred female chef in Europe Carme Ruscalleda to imagine this Summer’s menu at Joel’s Odyssey in Monaco. Good things come in threes and sadly the reverse, because in 2018 three giants of the culinary world have departed – the two French greats – Master Chefs Paul Bocuse and Joel Robuchon and the TV adventurer, food critic and commentator Anthony Bourdain. Ponder a multitude of Michelin stars and one imagines the pinnacle of sophistication. And so not in one’s wildest dreams could a simple purée of the humble potato become a signature dish of this beloved cook. Mind you there was a magic wand involved and 500 grams of butter per kilo of potatoes! And, of course, since then the gauntlet is thrown down to aspiring chefs to equal the creation, – even on one occasion on the TV show «Top Chef» in front of the Master himself. 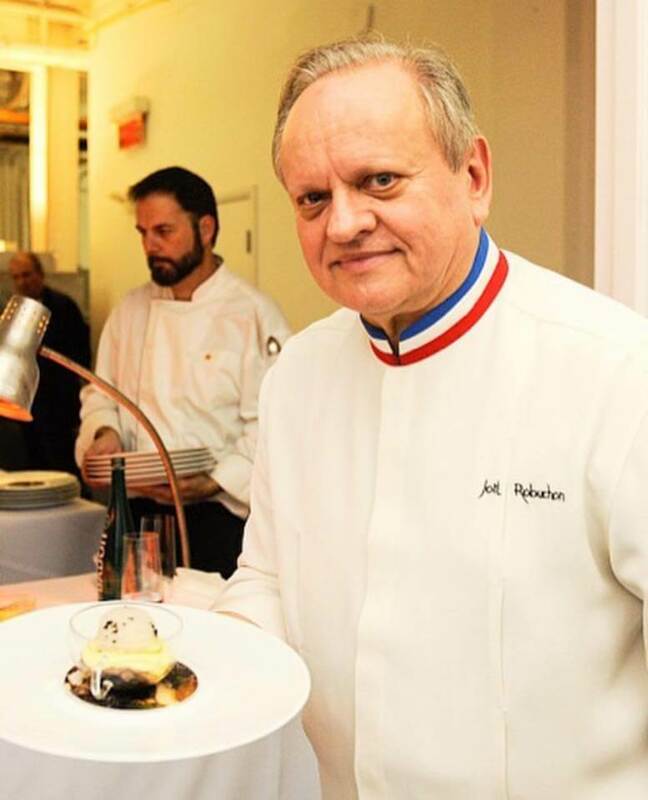 Joel Robuchon left us too early, discrete in his illness and succumbing to cancer of the pancreas at age 73. Perhaps it is not surprising that Joel more than metaphorically died with his boots on. The French Press paint a scene distilled from comments of a friend and restaurant critic, Gilles Pudlowski, of Joel Robuchon right to the end still imagining opening yet another gourmet paradise in Geneva. 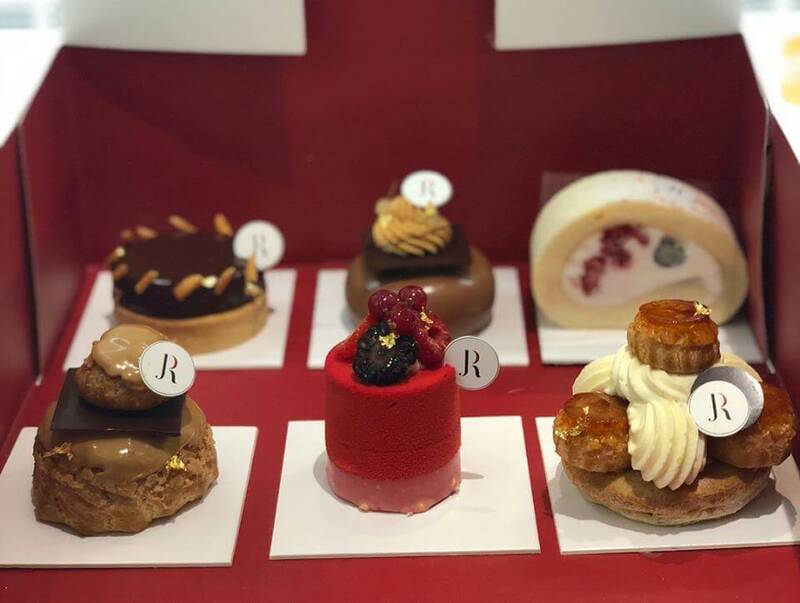 What words will always come to mind when one mentions the name Joel Robuchon – surprisingly among them are humility and simplicity. Add many other superlatives like genius but the quiet honesty is equally remembered and revered. And it is testimony to Joel’s talent and accomplishments that a bevy of the world’s greatest chefs, those with three star designations would prefer to be thought of as disciples rather than equals. For a humble man, son of a mason, born in 1945 just as the Second World War was about to end, what a legacy he leaves. The formal accolades are staggering beginning with Best in his trade in France, «Chef of The Year», of course, and the ultimate title «Cuisinier of the Century». The latter is a distinction surely impossible to surpass – which is why you will see testimonies in print from the President of the French Republic, Emmanuel Macron and great Chefs of the ilk of Gordon Ramsey and Ann-Sophie Pic. And there is the legacy of innovation. The «Atelier» where gourmets can enjoy the process of being part of the scene while the gems for their taste-buds are being created. And when you are a legend, maybe it is a duty to create the next wave of master-chefs, graduates of your own International School – The Institute International Joel Robuchon, linked with the prestigious Ecole Hoteliere in Lausanne, Switzerland. 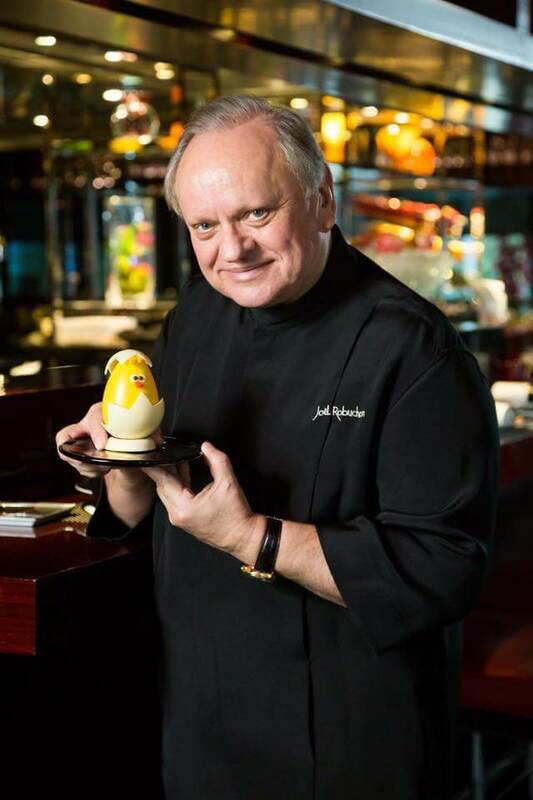 Thirty two Michelin stars to his credit at his zenith, Joel Robuchon loved his clients in Monaco who loved him back and loved his food, the honesty of it, the simplicity of it, the genius of it. An international legend from Poitier, with what one could say metaphorically a «Monegasque soul» flowing passionately into his creations – Joel will be sorely missed.